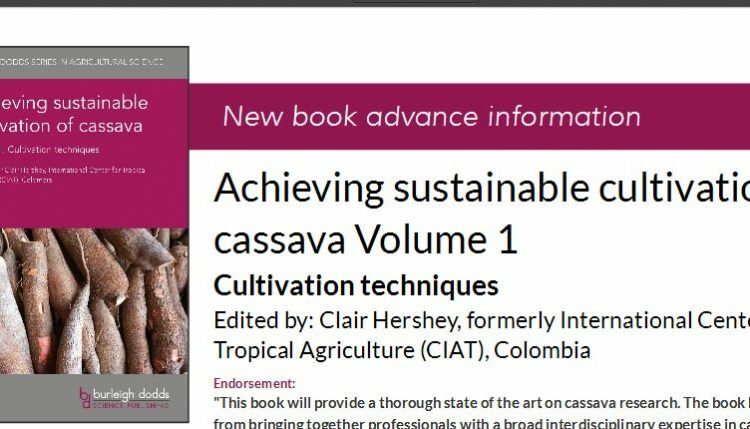 A new book titled Achieving sustainable cultivation of cassava Volume 1 & Volume 2, edited by Clair Hershey of CIAT, is now available online. It covers each step in the value chain for the production of cassava, from breeding through to harvest. The book was published by Burleigh Dodds Science Publishing— a new “climate smart” publisher. You can read more about the books by following the links to each volume above.